Is There Spark at the Plugs? When looking for troubles, it’s usually best to start at the spark plug-end of the ignition path and work backward. 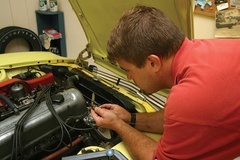 The first thing to do is to pull a spark plug wire while an assistant cranks the engine and check for spark. 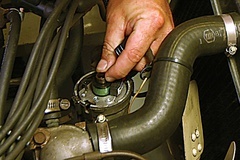 Before having the assistant crank the engine, insert a spare spark plug or screwdriver into the plug boot and then position the plug wire near a ground source. If you see a strong spark, keep trying this with all the plug wires. 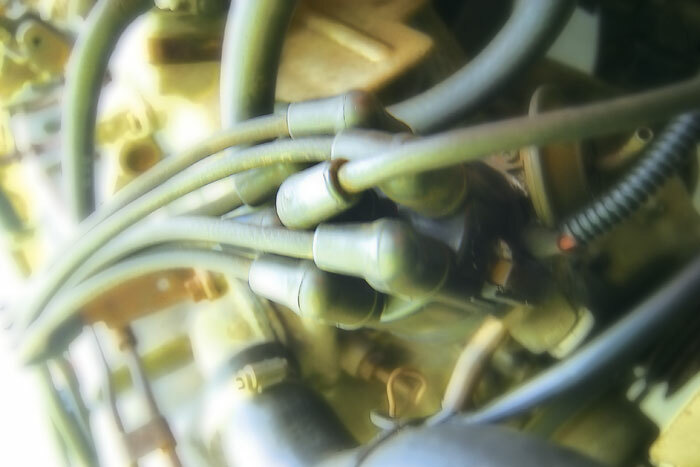 If there’s a good spark at each wire, you’ve either got a fuel problem—remember that 5 percent of all carburetor problems are actually carburetor problems, after all—or you’ve got your timing set way off. There’s also a chance that you’ve got your plug wires on in the wrong order. Is There Spark From the Coil? If you don’t have spark at the plug lead, the next thing to check is whether you’re getting spark from the coil to the distributor. Pull the coil wire from the distributor and hold it near a ground. Again, have your assistant crank the engine and look for spark from the coil lead. If you have spark, you likely have a problem with your distributor rotor or cap, so you may want to replace them. In recent years, rotor problems have been much more common than cap problems, so you probably want to start with a rotor. Is There Power to the Coil? Does the Switching Mechanism Work? If the light glows steady or not at all, it’s time to get into the distributor. If working with a positive-ground car, don’t forget to switch the polarity on this test procedure as well. To determine why your distributor isn’t providing the switching for the coil, you’ll need to get out the manual for your car or ignition system (if it’s an aftermarket system) to go through the testing procedure for your points or electronic switching mechanism. As obvious as this sounds, pull the plugs and make sure they’re the right ones for your engine. Also make sure they’re not wet, oil-soaked, or just plain gunked-up. If they look bad, don’t worry about it just yet, but either replace them or thoroughly clean them. Rarely will plugs be bad, but they need to be the correct ones and in good condition for many of our subsequent tests. Is There a Strong Spark? 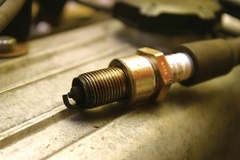 If your car is hard to start or runs poorly when it is starting, the first thing to check is spark quality. Using an assistant, repeat the previous test for spark at the plug wire. Do you see a sharp spark that will jump a gap of at least a quarter inch? Can you see it in broad daylight? Can you hear it crackle? If not, it’s probably too weak as the result of electrical losses along the spark food chain. 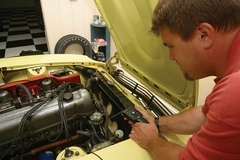 The easiest way to start looking for these losses is to reconnect all the plug wires and start the engine. 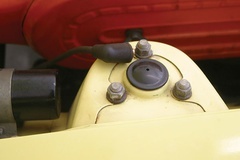 Ground your 12-volt test light and then use the pointer to follow each plug wire from the distributor cap to the plug—and don’t forget to check out the ends of the plug wires, too. If the plug wires pass the test, move the pointer of the test light around the distributor cap and see if you can catch any stray sparks. Then repeat the test around the coil, especially at the top, where the terminals are located. If everything still passes this test, take a spray bottle filled with water and mist the plug wires, the distributor cap and the coil. Then repeat the test. 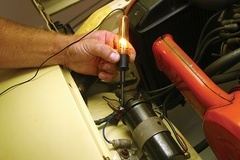 The water may help bring out some stray sparks—in fact, you may not even need the test light once things are a bit damp. Is the Distributor Shaft Worn? Remove the distributor cap and rotor and wiggle the distributor shaft. If you can feel any slop at all, the shaft or bushings in the distributor are worn. If you’re still using points, this will result in inconsistent point gaps and timing issues as a result. Worn distributor shafts cause fewer problems for electronic ignitions, but either way you should rebuild or replace the distributor if you want the best drivability and performance out of your car. Good Condition and Set Correctly? Points are the switching mechanism for the spark, and if they are worn, corroded or not set correctly, poor running will follow. If your car is still using points, visually inspect them and look for a clean, smooth surface. If you see corrosion or pitting, replace them. Set them to the gap or dwell angle specified for your car and then set the timing again. Is the Timing Properly Set and Consistent? Make sure you’re properly setting the distributor’s timing and that the advance mechanism is working. When checking the timing at idle, are you disconnecting the vacuum advance as the manual says? Are you using the right timing marks on the timing tab? 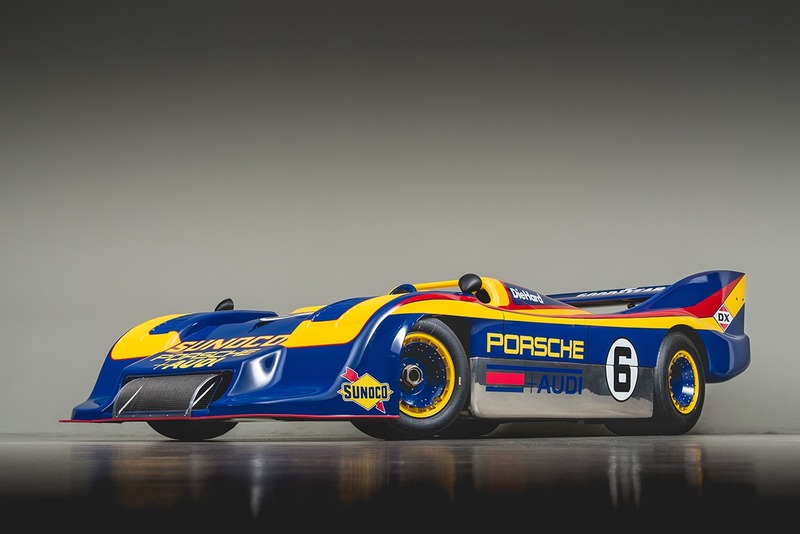 Is the advance going through its curve properly and achieving the proper amount of advance at high engine speeds? 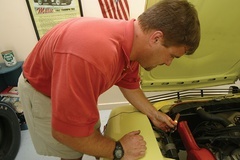 Make sure you check all of these things before getting more drastic and blaming the carburetor. 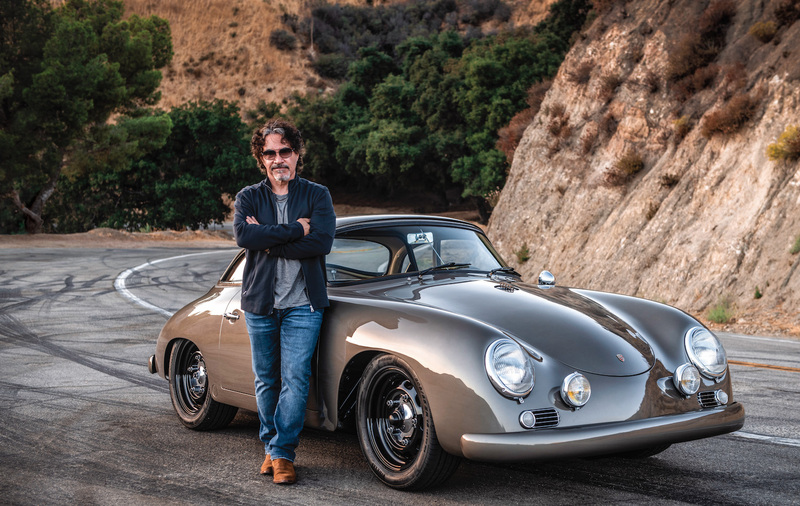 We discussed how to properly set a distributor’s timing in our last issue. When you set the timing, whether at idle or higher engine speeds, you should see a very steady, consistent reading at the timing mark. On engines with worn distributors, you may see a variance of as much as 10 degrees. If the timing is bouncing all over the place, it’s time to rebuild or replace the distributor before the engine runs well. 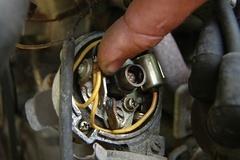 Even though there’s a lot going on regarding a car’s ignition system, some detective work can usually solve the problem. 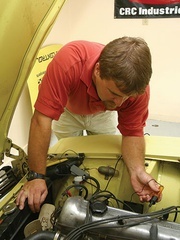 Before blaming the carburetor for a poor running engine or replacing a bunch of hardware, first check all of the basics. A methodical approach should uncover the problem. While a stock ignition system may be fine for a car that’s still original, we know that some people crave more performance—plus some modern equipment can make a classic a bit more friendly to drive. Coming up soon, we’ll take a look at aftermarket ignition upgrades for both street and race.